L’Etivaz, named after a small Swiss mountain village, is said to be made as Gruyere cheese was once made over a century ago. 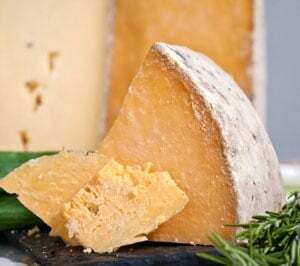 An AOP designated cheese, L'Etivaz is made from milk from a small cooperative of 76 cheesemakers that felt that government regulations were enabling cheesemakers to produce Gruere in a way that compromised its original flavor profile and integrity. In the 1930s they created L’Etivaz and eventually sought and obtained AOP designation. 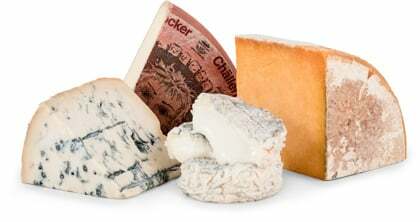 It should be noted that just because you’re in the cooperative today doesn’t mean you’ll remain so indefinitely as all AOP L'Etivaz cheeses are graded on fat content and flavor profile regularly to determine whether or not they qualify. Even specific wheels may be rejected. Two things are exceptional about how this raw cow’s milk cheese is made. First, the cows are only milked in the summer months when they are out to pasture in the meadows where they graze on nothing but the fragrant Alpine herbs, flowers and grasses. Second, this is a cooked curd cheese but it’s cooked traditionally in open copper pots over a real wood fire. The result is a super fragrant and fruity hard cheese with a hint of hazelnuts. These round wheels are aged 12-18 months and can weigh up to 40 pounds. A distinctive ring of flowers decorates every rind’s label. The paste is firm but very creamy, mouthfeel is buttery. The flavor is nutty and sweet with a lingering fruitiness. You may detect just a hint of smokiness from the open kettle fires. L'Etivaz pairs well with fresh figs, walnuts and pears. And because L’Etivaz has a deep sweetness, it can really stand up to a stronger alcohol like a sweet bourbon. If you’re pairing with a wine, look for a Chardonnay that is drier with buttery, oakey flavors to compliment this cheese’s sweet notes.